Click on a Presenter Name or Picture to visit their website (if they have one). Clicking on the workshop title will take you to the schedule page. Mira Kelley is a world-renowned expert on past life regression and the best-selling author of Beyond Past Lives. She facilitates workshops, retreats, individual consultations and speaks around the world, promoting the healing and transformation available through regression. Stories from Mira’s sessions are included in Wishes Fulfilled by Dr. Wayne W. Dyer and in Miracles Happen by Brian L. Weiss, M.D. and on Oprah.com. Learn more about Mira and how you can work with her at her website, www.mirakelley.com. Download your free meditation gift! For over 35 years, Dr. Christine Page has been a pioneer in the field of healthcare, especially for women. As an international speaker and wisdom keeper, she sees herself as a bridge builder whether between different healing modalities or states of consciousness. During her medical career, Dr. Page engaged in many fields of healing, specializing in pediatrics, obstetrics and gynecology. She founded one of the first integrative health centers in Britain and created a highly successful holistic practice in London. She is a media spokesperson, co-hosting a radio show in London for 5 years. She is an international keynote speaker and seminar leader, speaking to health professionals and the public on mind-body medicine, self-awareness and women’s empowerment. Dr. Susan Shumsky has dedicated her life to helping people take command of their lives in highly effective, powerful, positive ways. A pioneer in the human potential field, she has spent nearly 50 years teaching thousands of people meditation, prayer, affirmation, and intuition. She is the best-selling and award-winning author of 13 books, which include Miracle Prayer, Divine Revelation, Exploring Meditation, Exploring Auras, Exploring Chakras, How to Hear the Voice of God, Ascension, Instant Healing, The Power of Auras, The Power of Chakras, Awaken Your Third Eye, Awaken Your Divine Intuition, and The Chakras Coloring Book. Dr. Shumsky is a highly respected spiritual teacher and founder of Divine Revelation®—a unique field-proven technology for contacting the divine presence, hearing and testing the inner voice, and receiving clear divine guidance. For 22 years, her mentor was Maharishi Mahesh Yogi, who was guru of the Beatles and Deepak Chopra. Dr. Shumsky served on Maharishi's personal staff for 7 years. Dr. Shumsky has been featured in Woman's World, GQ, Cosmopolitan, Los Angeles Times, nationally syndicated TV and radio on ABC, NBC, CBS, and FOX news, Coast to Coast AM with George Noory, and William Shatner's Weird or What? She is featured in the movie Three Magic Words. Her website is www.drsusan.org. Wise woman herbalist, visionary pilgrim adventurer, mother, grandmother, earth keeper... Most of my life, I’ve asked myself, what nature would do in any given challenge or circumstance. It is an exploration into personal story and a template that has served me well through garden tending, child raising, firestorms, journeys to the underworld and other more common catastrophes. Kris Steinnes, visionary founder of Women of Wisdom, is the author of the Amazon best selling, and award winning book, Women of Wisdom-Empowering the Dreams and Spirit of Women. She is the host of Voices of Women Talk Radio Show and developed a Circle Leadership style of organizational structure to bring the collaborate process to change the hierarchical structure in today’s society. Lillian Hewko is an attorney at the Incarcerated Parents Project (IPP) of the Washington Defender Association. Using the reproductive justice framework, Lillian works at the intersections the criminal justice and child welfare systems and develops policy and advocacy strategies to help reduce the chances of family separation and parental incarceration. 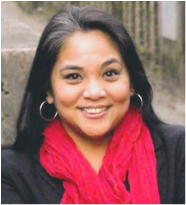 In 2013, as an Equal Justice Works Fellow at Legal Voice, a women's rights organization based in Seattle, Lillian worked alongside incarcerated and formerly incarcerated individuals to pass the Children of Incarcerated Parents Bill. Lillian is dedicated to creating social and environmental change that is connected to healing and transformation. 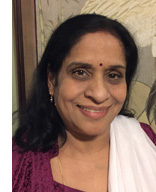 Zarna Joshi is a writer and storyteller and has published books about Hindu spirituality, self-examination, and cross-cultural understanding. She leads the Seattle Bhakti Yoga group with an aim to focus on the core values of yoga. She is also a community organizer and world traveler and has often appeared in the media as an activist for climate justice and social justice issues. As a Hindu daughter of Indian descent, and a heritage of non-violent direct action, she believes we can change the world for the better again if we come together as a community. Teri Jo Wheeler is the Executive Director of Global Teen Experience. She is committed to cultivating greater awareness, authentic expression and positive change in the world. She has been K-8 school teacher, counselor and mentor specializing in emotional health, social skills and awareness education over the past 15 years. Currently, she is a soul-centered life coach and leads inspiring groups, retreats and personal growth seminars in the USA, Canada and Mexico. She has a Bachelors in Business, a Masters in Spiritual Psychology, and a California teaching credential. Her life is devoted to youth, truth and bringing the eternal sunshine out from within. Kate Forbes is the Co-Director of Global Teen Experience. She brings her compassionate heart and gentle nature to supporting youth in finding a clearer sense of their authentic self, and cultivating the courage to connect and act from this center. She has a Bachelors in Anthropology, a Masters in Spiritual Psychology, and a Colorado teaching credential. She has taught elementary school, volunteered abroad in a Kenyan clinic, and helped in Dominican orphanages. She is currently a soul-centered life coach. Her life is dedicated to creating meaningful, heartfelt relationships and empowering others to live their fullest expression. ​Gerry Ebalaroza-Tunnell is a dynamic instructor and facilitator who demonstrates that the best gift we can give to ourselves and others is the ability to hold compassionate space. Gerry is a certified trainer of the Institute of HeartMath’s Resilience Advantage Program, a graduate from Antioch University’s Masters of Whole Systems Design, and currently a doctoral student of Transformative Studies and Consciousness at the California Institute of Integral Studies. Gerry understands the importance of co-creating change and the dialogue of learning together. She believes through designing our communication style to fit within whole systems, we can move towards cultivating a human environment that is cohesive and in sync. Jessica Bowman holds a Bachelor’s Degree in Anthropology and a Master’s Degree in Women’s Spirituality along with California Teaching and Administrative Credentials. She is the Academic Dean for the Emergent Studies Institute, a Massage Therapist at the Stewart Mineral Springs Resort in the Mt. Shasta region and an Intentional Creativity Coach. As an artist, she works in the Contemporary Symbolism movement with a focus on the Divine Feminine. She is currently a doctoral student at the California Institute of Integral Studies analyzing the intersection between the process of art-making and the pursuit of spirituality as a means of feminist activism. Kristen Calvert-Chavez holds a BA in Creative Arts, and Master’s degrees in Art History and Women’s Spirituality. She currently works as an Activity Director in the Bay Area and volunteers as an art therapist at Safe Alternatives to Violent Environments (SAVE). She has worked at various museums and galleries, including six years at the San Jose Museum of Quilts and Textiles. In 2015, she and Jessica presented the workshop “Waterways to the Goddess,” at the Association for the Study of Women and Mythology symposium. She creates art under the name BlueGreen Horizons, specializing in nature photography, mixed media flower pendants, and Transformational Goddess Flower Cards. Patty Ferris is an inspirational speaker, and soon to be published author of The Dance of Human and Spirit. Whether speaking on Spirituality in the Workplace, Leading with Spirit, or how to incorporate our spiritual awareness into our everyday life, Patty has a supportive and humorous way of leading others to the deep core of themselves. For the past 17 years, Patty has taught meditational and leadership classes in the Training In Power Academy, and serves as a Spiritual Counselor. Robin Aisha Landsong BA, LMP is a Visionary Artist, Author, and Craniosacral Therapist. When Robin was eight years old she was abducted from the U.S. and taken to Africa. It was 1977 during the Rhodesian Bush War. She was lost in the bush, and made her way to a tribe who took her in. She was given the name Aisha, which means ‘she who lives’ days before she was shot by a guerrilla soldier and began to die. Robin was called back to life by the Medicine Song of her beloved African mother. Now she pays this gift forward to others. Dr. Franca Baroni is an award-winning author, speaker, mediator, mother, actress, awareness guide and practicing immigration attorney in Seattle. 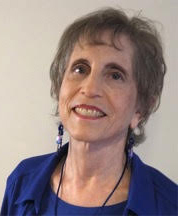 For 15 years she has assisted people in connecting to their deeper core and potential and in elevating their conflicts to new levels of understanding and resolution. She is passionate about empowering individuals and groups to embrace a radical new system of governance and law moved by heart intelligence and offers consultations to this end. Rev. Judyth Sult is an Empowerment Coach, Tarot Reader, teacher and healer for over 30 years. Her classes are always fun, interactive and high energy. Judyth has co-created, Tarot of Empowerment, a Major Arcana deck and authored the companion book. This set was specifically created with the intent to facilitate empowered decisions and actions. She is currently working on a new Major Arcana workbook and an expanded book about the Minor Arcana. Judyth has hosted her own radio program and been a business consultant for sustainable businesses, using her own experience as a successful business owner. Valerie Mannucci led Singing in Sacred Circle at Women of Wisdom in 2015. She has participated in the Singing in Sacred Circle workshops at the annual Michigan Womyn’s Music Festival and at other Women’s gatherings. It is always a deeply moving experience, and she is passionate about sharing this intimate, energizing and transcendent modality with our Women’s community here in Seattle. Nina von Feldmann, Founder of DreamDance Global and Co-producer of Watersines concerts. As a community galvanizer, h'artist and spiritual activist, Nina weaves her passions for Dance, nature, Beauty, the healing arts, ritual play, and sacred spaces to create transformative experiences. All of which are dedicated to Love, authentic expression, and the awakening of full human potential. Motivated by heaven on earth, her creations restore relationship to self, others and our precious planet. Danielle Gennety, Founder of Our Sacred Acres (OSA), Co-founder of DreamGeneration productions. Working most often from the forested non-profit community impact and outreach center located on her permaculture sanctuary of the same name, Danielle is a program director, community organizer, temple guardian, and nodal network ambassador in service to the earth and all her inhabitants. She writes and speaks on the whole systems evolution of culture crafting and restoring the sacred, finding common ground on which to build collaboration and connection in nature, on the dance floor, and of hearts everywhere. Jamie Star is fiercely committed to guiding brilliant women (and very smart men), who have traded their magic for the mundane, but are ready to get the life they deserve. What sets her apart is her academic, and spiritual have all been focused on helping others. She brings diverse areas of heart-centered knowledge to solve problems: mythology, systems theory, metaphysics, ritual theatre and art in a unique way which honors the psyche's love of image and story, and moves clients to change. Jamie has been a mental health counselor since 2010, a coach and spiritual mentor since 2003, and is currently working on her PhD. Arielle Beauduy is the creator of ConsciousMotion, a blend of yoga Asana and therapeutic mindful movement. She has a Bachelor of Fine Arts in Dance and two yoga certifications. As a mother of two, she loves working with fellow mothers, assisting them in the complete revitalization of their body, mind and spirit. She has a rich background in holistic medicine, yoga, dance, movement therapy, seva(service), bhakti yoga, energy healing, reiki, meditation and eastern studies. Arielle has co-authored the books, The Sacred Code of Love and Awakening Your Chakras. For more about Arielle's therapeutic movement practice, visit ConsciousMotion. ​Lisa Markman is an energetic leader, coach, speaker, facilitator and consultant in business, non-profit and professional development. Founder of Jigsaw Solutions and co-founder of the Alliance of Women Owned Businesses, Lisa believes every person is born with a unique vision that informs what they offer the world. She is committed to helping women reach their dreams, helping clients access and refine their visions to bring them to reality. She uses a holistic and playful approach, guiding clients to pursue mastery in their lives. Lisa lives in Gig Harbor and works with clients internationally. She has an MBA from Madison University. ​Ylara Khalsa is a Clinical Nutritionist, Clinical Aromatherapist, Somatic Experiencing Practitioner. She worked as a Holistic Therapist for over 30 years. Teaches and practices Kundalini Yoga and Meditation since she was 15 years old. Studied with Yogi Bhajan the healing art of “Sat Nam Rasayan.” Studied Homeopathy In India for 2 years. She is the head of the Mt. Shasta Bee Guild. She owns and works at Flower Of Life Biodynamic Farm, the first Biodynamic Farm in Siskiyou County Certified by DEMETER, where she grows many medicinal flowers, and herbs that are used in her products. Regretfully, Barb had to cancel her workshop at this year's conference. Barb Ryan, aka “Guidess of Happiness,” has been teaching women to spiral toward joy in a way that empowers them to make changes in their lives, build supportive community and step into their passion. Barb was a counselor for 25 years. Five years ago she discovered that her purpose in life was to teach Happiness classes and workshops. 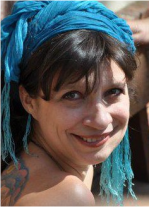 She is a Happiness life coach, energy healer and shamanic practitioner. Her philosophy is that connecting with one’s core of happiness is personally beneficial as well as community focused in creating an energy shift for the whole planet. Rev. Elke Siller Macartney is a wisewoman, modern shaman and teacher. For 33 years, she has ignited people’s lives by pointing to and supporting their purpose on earth. Elke is a master of rituals and spiritual teaching, as well as an author, mother, wife, aura seer, and humble servant of Spirit. Kate Thompson, R.N., is an Expressive Arts Practitioner, cultural change agent and social artist. As a young child she wanted to know how to understand suffering. Her extensive healing work in healthcare, theater, and diverse groups has taught Kate that the creative along with an intention to heal creates the next new brave story of our lives and organizations. Kate works with groups, organizations and individuals to create transformational experiences, healing, cultural change and social innovation. Kris Steinnes, founder of Women of Wisdom Foundation and the WOW Conference in 1993, authored the award winning Women of Wisdom book, and hosts Voices of Women Radio Show on Transformation Talk Radio where she highlights women's voices and their stories. Kris created an organizational model of co-creative/circle leadership for WOW and teaches Circle Leadership to transform hierarchical leadership to a shared leadership model. Kris is passionate about providing spaces for women’s voices to be honored and respected. ​Lois Gaylord, an abstract artist working in fiber and mixed media, is a maker of connections. Her ‘fiber-brained’ ideas and deep relationship to Spirit have brought her to avodat ha’lev, the work of her heart. Lois weaves these two passions into her ceremonial cloths. And through her works of art, she explores the connections between our daily lives and Spirit. She uses many textile and fiber processes in her work including weaving, dyeing and sewing. She holds a bachelor’s degree in textile design, and recently completed the University of Washington’s Professional Certificate Program in Fiber Arts. ​The Women of Wisdom Foundation, a National Women's Organization based in Seattle, has served women with The WOW Conference™ since 1993 and many other diverse and innovative programs. WOW gives voice to the feminine wisdom within all and transforms our personal and collective consciousness. WOW midwifes the evolutionary shift through a model of circle leadership creating the balance of feminine and masculine energies. The WOW Way empowers women's voices and their contributions to the world, in partnership with other like-minded individuals and organizations. Jennifer Sundstrom is an herbalist In the Wise Woman Tradition, and sadhaka on the path of sound. One foot in the corporate world, and one foot in the esoteric realms, Jennifer lives the example of bridging spiritual life with daily work life. Sparkling and dynamic, Jennifer offers private sessions and classes on various herbal topics, and Sounds Healing workshops in the greater Seattle area. Jennifer regularly leads and participates in bhakti (devotional) chanting as the blissful path to celebrate the Divine Spirit that resides in us all. Jai Ma! Patricia Doheny teaches Memoir and Creative Writing at Des Moines Activity Center, receiving her writing degree from the University of Washington. She does interviews for Prime Time, has been searching for the Divine Feminine since 1995 and traveled to Spain, France, and Ireland to discover the Black Madonnas and ancient Irish Goddesses. She believes the Feminine Divine, forgotten for centuries, needs to be remembered so women can remember that they too have a place in this world, one worth standing up for. Guadalupe encourages us in small and big ways to stand up. Starfeather's passion is to bring people together to raise their vibration through drumming, singing and chanting. Her love for the hand-drum began when she moved to Seattle and called her first women's circle in 1990. She is an artist, a drum maker and has taught drum making workshops to others for over 20 years. Collecting women's songs and opening to vocalizing chants that express the heart, she enjoys bringing women and drums together in sacred ceremony. Starfeather is a spiritual teacher, Reconnective Healing Practitioner and a certified sound healer and the facilitator of the Medicine Shield Retreat. She resides in Edmonds, WA, where she maintains a private healing practice and regularly leads sacred circles. For more information, www.shimmeringpath.com. ​Karen Cleveland has worked with thousands of individual pet owners, trainers, body-workers and other animal professionals locally and nationally to help strengthen the human-animal bond. She troubleshoots behavioral and medical issues, facilitates a client’s ability to understand and care for their animals, often helps clients whose pets are aging and dying, and communicates with those that have passed-over to help support their humans with questions and closure. Karen taught and served on faculty with Communication with All Life University and now speaks and teaches all over the Northwest region as she works to create a better world for animals. ​The Women of Color Speak Out is a group that came together during the Shell No actions, because we felt there was little space for people of color and we wanted to create that space. We bring a de-colonial and anti-capitalistic framework to the mainstream environmental movement. We speak at rallies, city council meetings, schools and prisons. By making space for our analysis we intend to revolutionize the climate movement. Zarna Joshi is a writer, public speaker, and activist who was born in England while having cultural and spiritual roots in India. Afrin Sopariwala is an activist, student of yoga and ayurveda, who grew up in Bombay, India, and is attempting to move toward living a zero-waste life. Yin Yu is a system practitioner and convener of spaces to explore the complexities as human beings where paradoxes and tensions can be held. ​Performing artists Marya Stark and Carmen Crow combine forces with Layla Centorrino, Laurel Kitten and Tessa Shields to share their unique medicines in true collaboration and co-creation with YOU. 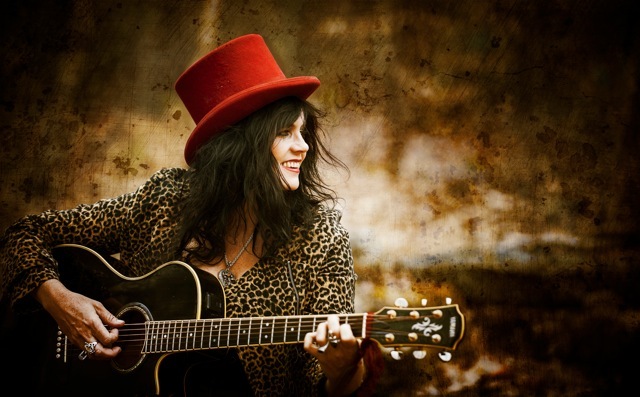 Scarlet Crow Remembrance Tour is a sharing of magical and epic proportions. Together we craft a space for potent activating, healing and anchoring the future from an embodied, empowered now. Reweaving the forgotten tales and codes of the Great Mystery, we touch on moments in ‘her-story,’ involving the story of Adam and Eve, the Witch Burning times, Avalon, World War II and post-feminist Revolution. ​Christine Upchurch is a healer and author who teaches seminars internationally, and has appeared on radio and television around the world. She has a passion for helping people to broaden their perspective on reality, and for helping empower individuals to recognize and step into their wholeness. As part of her mission, Christine hosts a weekly radio show on KKNW and Transformation Talk Radio, conversing with visionaries in the fields of science, psychology, and spirituality. Understanding the energetic nature of positive transformation, Christine was inspired to develop The Vibration of Change™ to provide a new roadmap for healthier, happier, more vibrant living. ​​Luminosas is Elle McSharry, Susan Dumett, and Ines Andrade-Maricle. With a focus on the power and beauty of the human voice as a means for healing and transformation, Luminosas creates sacred sonic environments based on spontaneous resonance and intuitive harmonies. Through inspired soundscapes, vocal workshops, and individual sound healing sessions Luminosas offers a unique combination of artistic expression, spiritual connection and personal empowerment. It is both the mission and passion of Luminosas to focus the voice in support of evolutionary healing and compassionate connection, as well as support others to do the same. Sommer Joy Albertsen, Energy Brilliance Healer, Nia Brown Belt Teacher, and Compassion Games International Unicorn, talks and walks the path of sacred space and unconditional love, reminding us of Gandhi "Be the change you want to see in the world." Passionate about equitable social justice for all, a truth teller, lover of life, and activist for boundless being, she is influential in the global emergence of soothing, complementary partnership revolution. Sommer presents in many different settings: wellness, medical, healing arts, and innovative social entrepreneurship gatherings, making a positive difference with diverse communities including women's/girls’ leadership, environmentalists, people with disabilities, elders, and indigenous peoples. ​​Wendy Rule, wild, passionate and empowering, Australian Visionary Songstress, weaves together music, story and ritual to take you on an otherworldly journey of depth and passion. Drawing on her deep love of Nature, and her dedication to a life of spiritual growth, Wendy’s music and teachings have offered inspiration and transformation to the world’s Pagan and Goddess communities for nearly two decades. Themes of Death and rebirth are prominent in all of Wendy’s seven major albums. With 13 album releases and extensive international touring experience, Wendy is widely celebrated throughout Australia, Europe and the USA. Drawn to the epic wilderness of the Pacific North West, Wendy recently relocated to Portland Oregon.